It’s funny, I would never have thought of it either, but now I’ve tried it, it seems such an obvious vegetable to use. Looks lovely Choclette, I can see how Jerusalem Artichokes can work, a little like parsnips I guess. I’m also quite pleased to read there were not any after effects usually associated with this veg! 🙂 I’ve picked up some chokes this w/e, made soup, but still hankering for other ideas. PS I had planned to join in with the WSC challenge, but i think unfortunately it is unlikely to happen. I made the chocolate cake with honeycomb, but never took a picture of it. And I don’t really like posting posts without pics 🙁 so no participation this time round again. Yes indeed Shaheen, a bit like parsnips, only with a nuttier tone. Sorry you’re not posting your cake, sounds quite delicious with honeycomb. Photos can be such a pain, especially at this time of year OR if you just want to get on and eat! Parsnip works really well in cakes too I reckon. This is quite similar, but with a nuttier flavour. Nice one and looks fab, I love vegetable cakes but never thought of using artichokes in a cake. No, this seems to be a new one for everyone. But I now expect to see artichoke cakes everywhere. The unfortunate consequences made me laugh. I once had such bad consequences that I haven’t eaten them since. Maybe I should take the lunge back into Jerusalem artichoke land with this unusual recipe. Very creative use of Jerusalem artichoke, Choclette – and with hazelnuts and chocolate no less! I love the texture of the cake – it looks so moist. This is very innovative with artichoke and I am sure it tastes fab. I have never tried Jerusalem artichokes! Perhaps I should, are they worth growing on the allotment? They are very easy to grown Heidi, but do tend to take over rather. They are perennials, so pretty much look after themselves – they are very tall! Wow! I knew you were going to come up with something amazing, but this err, takes the cake! It’s funny, the first thing I thought about was the ‘unfortunate consequences’ – glad I’m not alone. I wonder if you could try something similar with kumara or sweet potato? I think it’s the first thing anyone thinks of when it comes to this particular vegetable 🙂 I’m sure kumara would work very well. It’s on my list to try. Artichoke in cake is a new one on me too! Shall be pinned to my Veggie Cakes board. I’m betting it added a lovely nutty note, such a great idea. Sounds like a wonderful bake Choclette. Thanks Lou. It’s definitely one of my favourite vegetable cakes, although parsnip is very good too. I was quite excited by this Katie – well worth trying. Thanks Sylvia, it was surprisingly good. Thanks Deena. 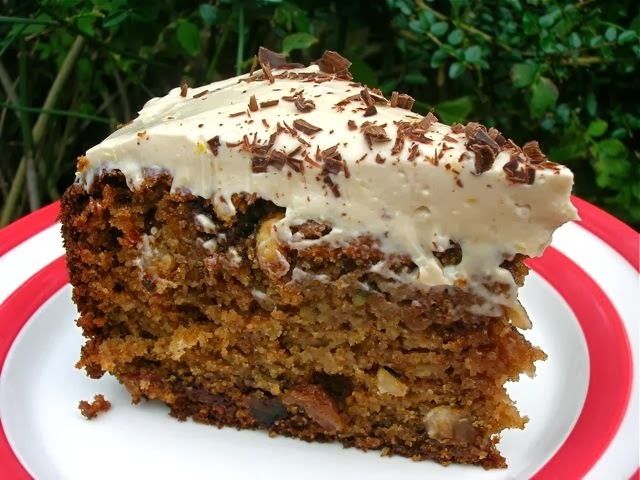 The Jerusalem artichokes give bulk, make the cake moist with an interesting texture. they also give a slightly sweet and nutty flavour which works really well. You know they never really appealed to me but I would definitely try them in a cake. Don’t think I ever saw them used like this before, excellent idea. Thanks Sarah – they do make a particularly good soup. Looks delicious. I would never have thought of putting artichokes in a cake, I am intrigued. I would like to get my hands on the Cacoa Berry Chocolate Drops, especially after you described the Alung milk chocolate one having strong caramel notes. This looks lovely and I have never thought about using these in a cake, and I should try it soon as they have taken over the whole of the bottom of my garden! Very good idea indeed, and beats the ubiquitous gratin that I always end up making! Looks, and sounds gorgeous. And I would never have thought to put artichoke in a cake! You are always so imaginative. This would never have occurred to me. Humph! Fabulous, Choclette! You had me going at the artichokes and toasted hazelnuts – but the chocolate, too? This sounds a really wonderful creation.